An inviting covered porch welcomes all to this lovingly cared for and updated home. Open the front door to the light-filled living room with its bay window, beautifully refinished hardwood floors and arched opening to the dining room. Three main level bedrooms, a full bath and built in closet storage provide great living space while the updated eat-in kitchen with granite counters, along with the adjacent dining room, make preparing and sharing meals a joy. With new windows and freshly painted throughout, the home sparkles. Rear doors on the main and lower levels allow easy access to the landscaped backyard. The separate shed has room for all your tools. Dont miss the stone patio - perfect for entertaining. The full, finished lower level includes a family room, study, bedroom and full bath. The large laundry room/ workshop is a definite bonus. 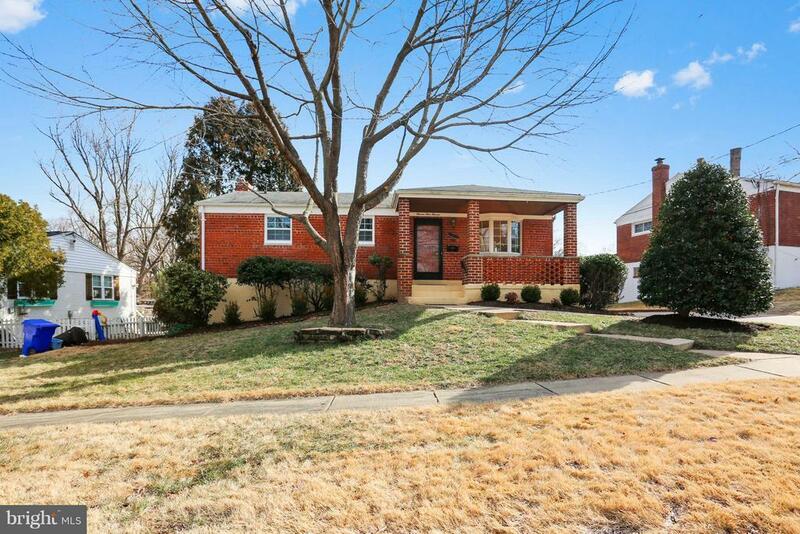 Convenient to Metro stations, Marc train, Walter Reed, NIH, the newly developed Pike&Rose and one block to Rock Creek Park ----a terrific home in an ideal location! Directions: From Randolph Rd turn right on Rocking Horse. Immediate left on Ashley, right on Grayling Ln. 11411 Grayling Ln is on the left.